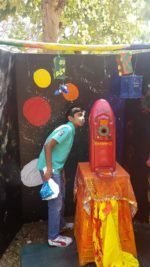 This year I managed to head to #KalaGhodaFestival on the last day. If you have been following me you would know it’s an annual ritual for me. The elder one has been unwell and couldn’t take him this year but the younger one enjoyed himself. This year the installation’s theme was ‘horses’ and honestly, I saw such little creativity, much lower than all the 5 years that I have been going to the festival. I found the installations done by the kids more creative and out of the box than the artist’s installations. 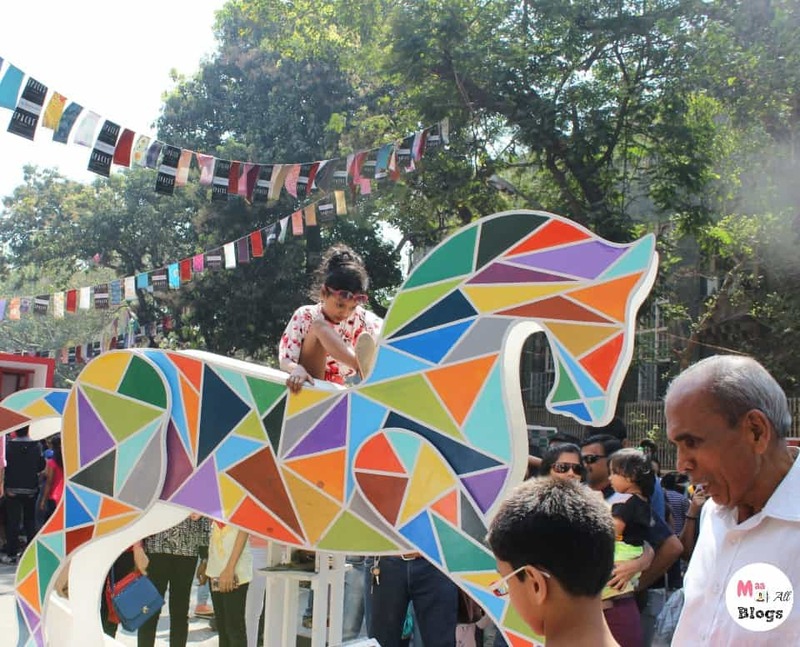 This year a few friends also accompanied me and when a friend asked Ahaan what he liked about Kala Ghoda his quick reply was, ‘Everything’. I can’t explain how proud a mom I was in that moment. On further probing, he explained he liked the horses, the shopping and the caramel popcorn he got to eat. Since there were more kids he did not get bored even though we couldn’t register him for a workshop this time. 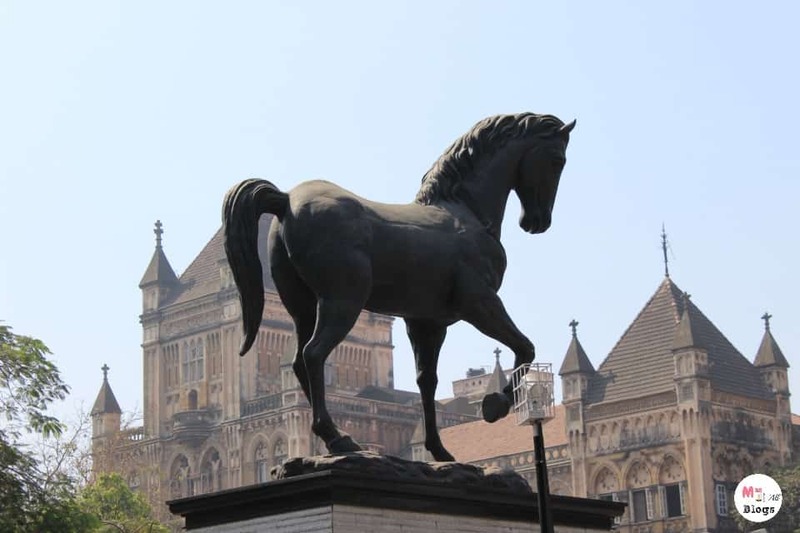 Kala Ghoda is an area near Fort and Colaba causeway. 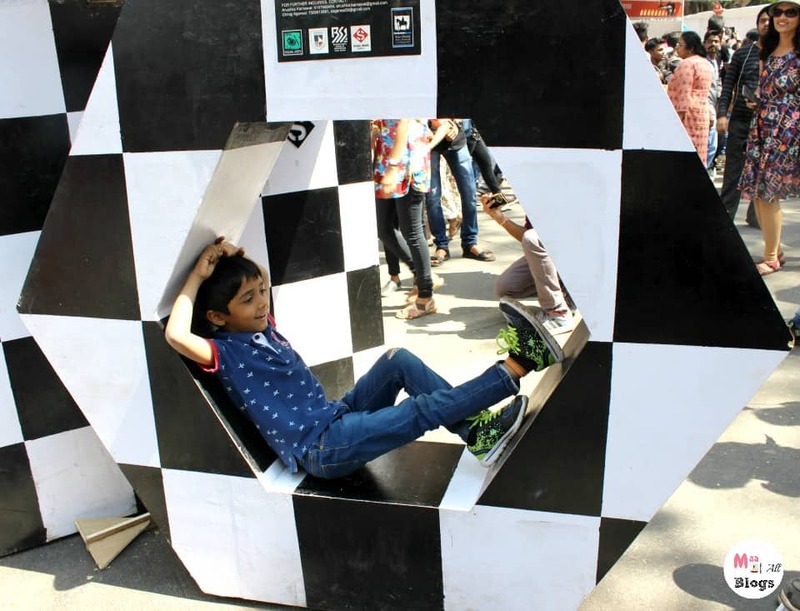 Every year in the month of February the KalaGhoda festival brings across various art forms like literature, theatre, cinema, food, street under one roof for a gala event of full nine days. 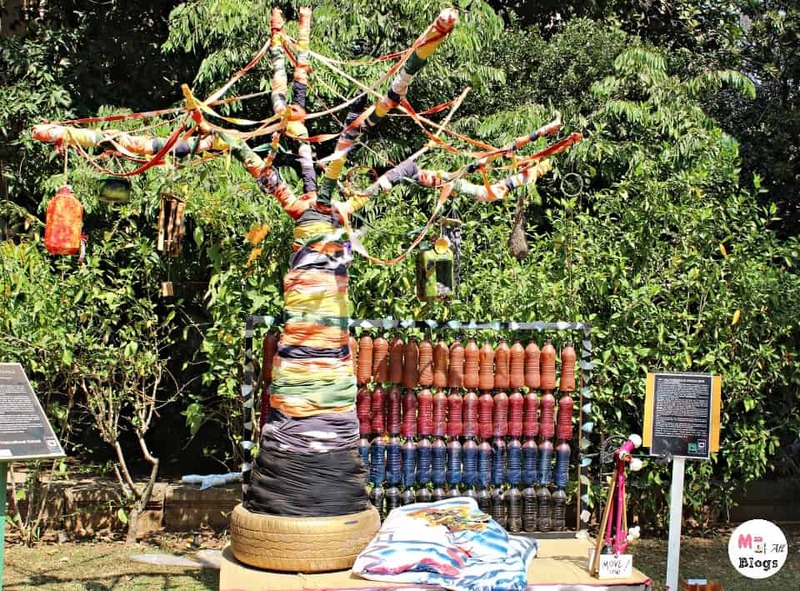 Sculptures, huge artifacts made of wood, paper, metal all in themes are displayed by various artists, school kids etc. 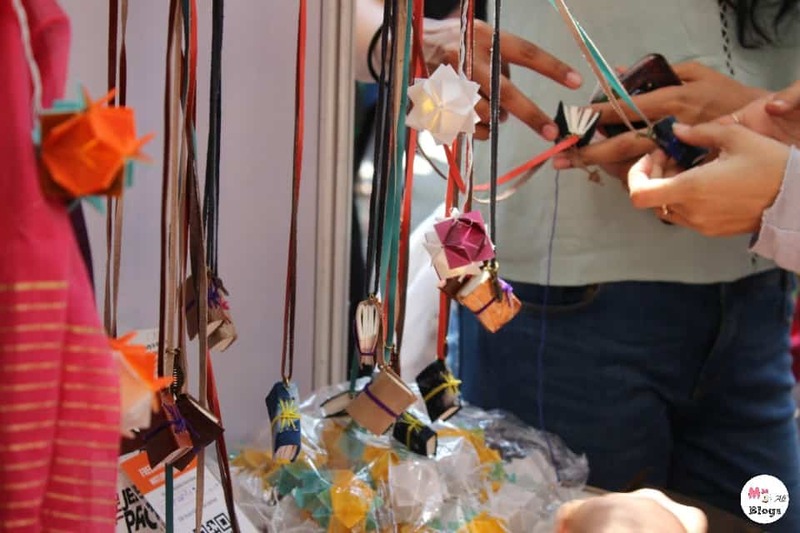 There are many workshops like cooking, photography, makeovers that happen through the festival. Plays and concerts that are brought to you and the best part is that it is this one time in the year that it is brought to you for free. Lots of artistics installations, workshops for kids and adults, plays, street plays, musicals, plays, dances, very interesting stalls selling art, clothing and everything offbeat( I blow a lot of money here, every year). Most of these happen in and around Kala Ghoda, Asiatic steps, National Gallery of Modern Art, Museum Gardens(for kids), Kitab Khana etc. 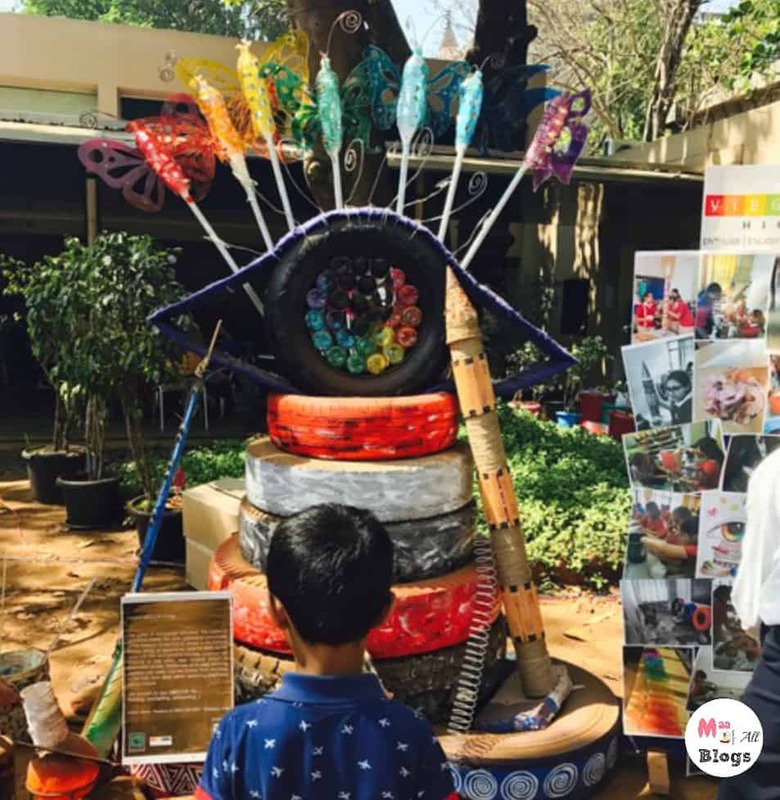 Most kid’s workshops happen at the Museum gardens, remember that the registrations to most workshops are on the venue just half an hour before an event and they have very limited seats. The festival is long and has so much to offer everyone, that you should check the list of events, identify what you would like to do and head on those days only. 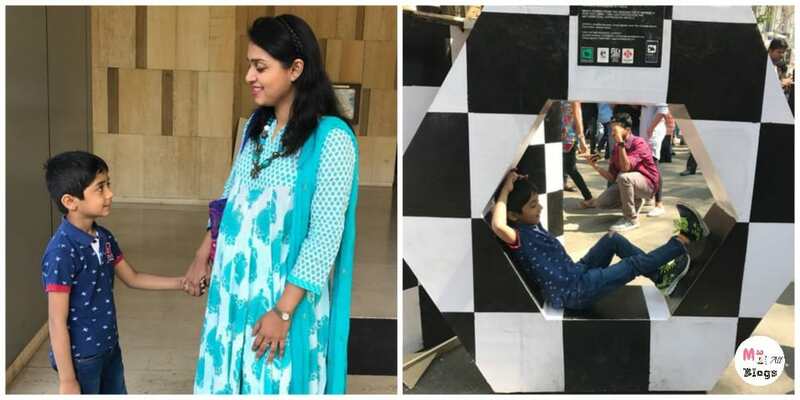 While weekends have more interesting things to do, it makes sense to take the kids there on a weekday between 11-4 pm, to avoid traffic and too much crowd. Weekends are usually crazy and packed and the kids may not enjoy and you might find it too tiring and wasteful to even manage them. Ideally, I like to visit the festival twice, once by myself and once with the kids to enjoy the festival to the fullest. Why should you take kids? Don’t go if you are not inspired by art or if crowds bother you, as the same logic applies which applies to people who love to hike for the love of mountains inspite of it being tough.